Spice4Less is an importer of spices. 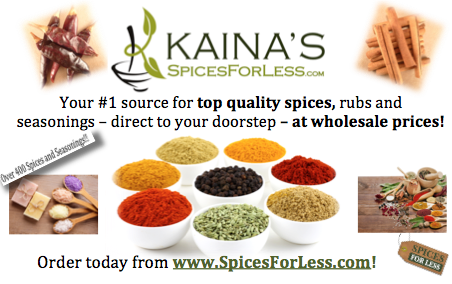 The site offers a wide selection of spices from around the world at low internet pricing. You can order by the ounce or order spices in bulk. Ordering direct from the importer means that your spices will be fresher than those sitting on the shelves in the mega-mart.